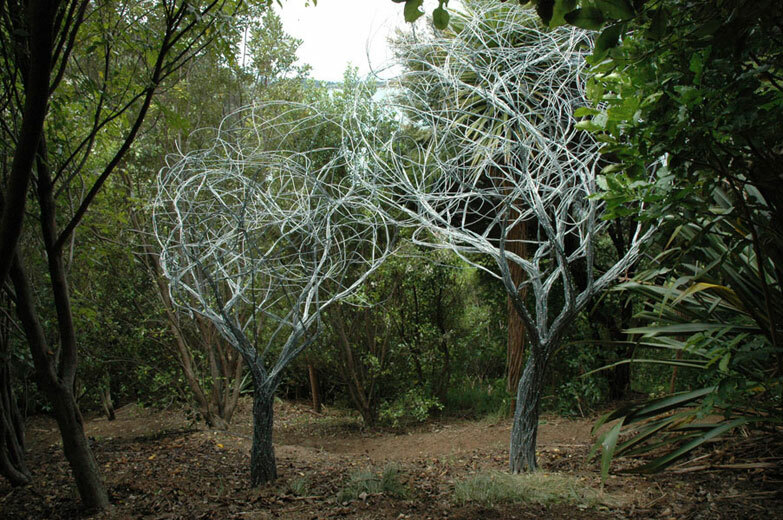 Skeleton Trees : Regan Gentry. 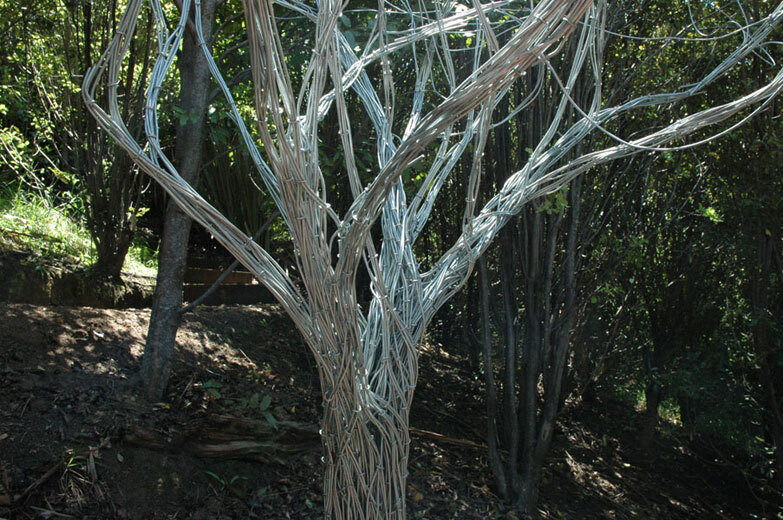 The wire trees are grouped in the bush on the hill behind the Connells Bay Sculpture Park Gallery - The Gow Shed. 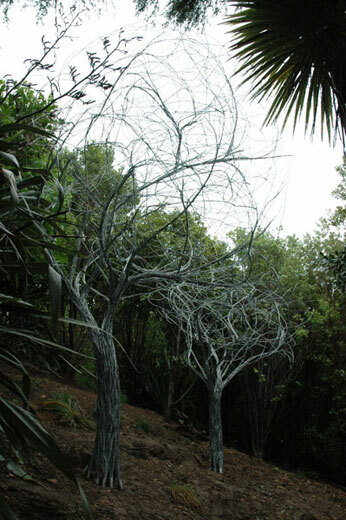 The physical appearance of the Skeleton Trees is based on a native primary succession plant Manuka or Tea tree. The sculpture park is sited on a retired farm. John and Jo Gow have replanted native species of plants to regenerate the land back towards the original bushy paradise it once was. The idea of this work was to illustrate the how the farm fences were being removed and the area was being transformed back into lush bush.